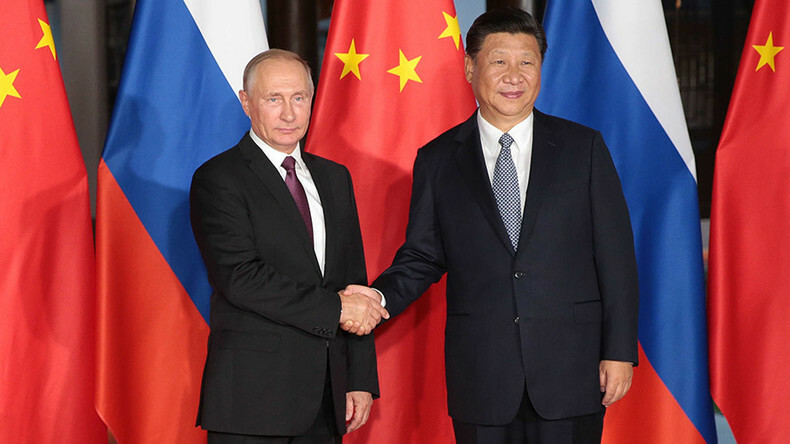 Russian President Vladimir Putin and his Chinese counterpart, Xi Jinping, have agreed that it is important to prevent chaos on the Korean Peninsula and called for a diplomatic solution to the crisis, following news of the latest nuclear test conducted by Pyongyang. "The two leaders agreed to stick to the goal of denuclearization on the Korean Peninsula and to maintain close communication and coordination to deal with the new situation," the Chinese news agency Xinhua reported. The presidents met in the southeastern Chinese city of Xiamen for the ninth BRICS summit, which is scheduled for September 3-5. The Russian president’s spokesman went on to say that Putin has also already discussed the situation with Japanese Prime Minister Shinzo Abe in a telephone conversation. Putin “called on the international community not to give in to emotions and to take a reasonable and balanced approach,” Peskov said. The test is “another example of Pyongyang’s outright disregard” of UN Security Council resolutions and international law, the ministry said in a statement. Beijing has also strongly condemned the actions of North Korea, saying that it had “once again conducted a nuclear test in spite of widespread opposition from the international community,” in a statement issued by China’s Foreign Ministry. China earlier warned that it would prevent the US and South Korea from conducting preventive strikes against North Korea as well as from attempts to overthrow the leadership in Pyongyang. 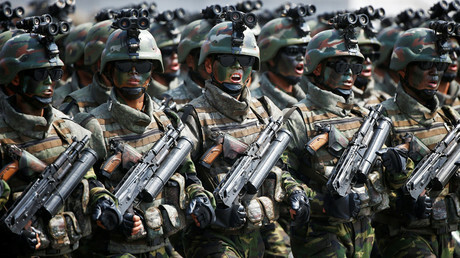 It added, however, that it would not interfere into the conflict if the North launches missiles at American targets first. 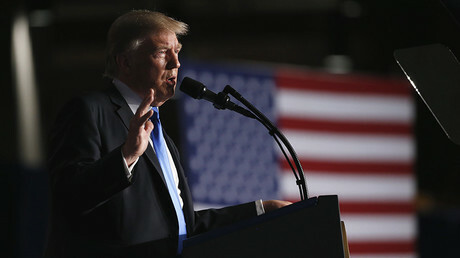 US President Donald Trump criticized China on Sunday for its role in resolving the North Korea crisis, saying that Beijing “is trying to help but with little success.” He later said that the US was considering stopping “all trade with any country doing business with North Korea” as one of the responses to North Korea’s latest test. Pyongyang following the test. European Council President Donald Tusk said that the EU was “ready to sharpen its policy of sanctions and invites North Korea to restart dialogue on its programs without condition,” Reuters reported. British Prime Minister Theresa May said that the North’s latest test “poses an unacceptable further threat to the international community” and also urged the UNSC to look at imposing new sanctions on North Korea. German Chancellor Angela Merkel and French President Emmanuel Macron jointly condemned the test and called for tougher sanctions against Pyongyang, while Japanese Chief Cabinet Secretary Yoshihide Suga suggested including restrictions on oil trade with North Korea into the list of new sanctions. At the same time, China’s Global Times newspaper warned against cutting off the North’s oil supply. 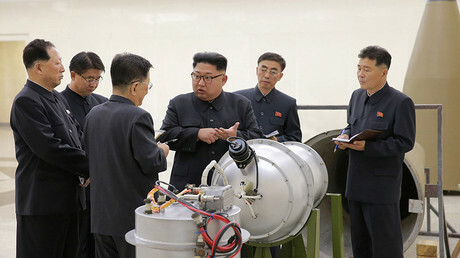 “If China completely cuts off the supply of oil to North Korea or even closes the China-North Korea border, it is uncertain whether we can deter Pyongyang from conducting further nuclear tests and missile launches. However, confrontation between the two is likely to occur,” it said, as cited by Reuters. North Korea gets the bulk of its oil from China, its main trading partner. On Sunday, North Korean state media reported that Pyongyang successfully tested a hydrogen bomb which can be mounted on an Intercontinental Ballistic Missile (ICBM). The test followed Pyongyang’s claims that it developed a new, more advanced hydrogen nuke that is small enough to be fitted on an ICBM. The bomb test was a “perfect success” and was a “meaningful” step to complete the North’s nuclear weapons program, state television reported.